Arrive at International airport in Delhi. Meet and Transfer to hotel. Overnight stay at hotel. After breakfast, drive to Haridwar. On Arrival, transfer to Hotel. 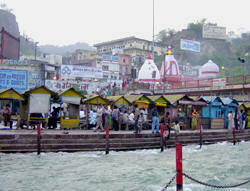 Later we shall take you for a visit to the Har-Ki-Pauri, enjoy the AARTI in the evening. Later back to hotel for overnight stay at the hotel. After early breakfast, drive to Rudraprayag. Check in Hotel, night halt. 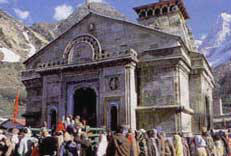 Drive to Gaurikund, Trek start from Gaurikund to Kedarnath. Check in Hotel. Trek down to Gaurikund from Kedarnath. Drive to Rudraprayag from Gaurikund. Check in Hotel at Rudraprayag. Night Halt. Drive to Badrinath via Joshimath. Check in Hotel, Night halt. Joshimath: Adi Guru Shankaracharya, who came all the way from Kerala in the 8th Century A.D, perform penance under a tree here and after getting enlightenment, established a Math (religious centre), known as "Joshimath". The name Joshimath is derived from it. 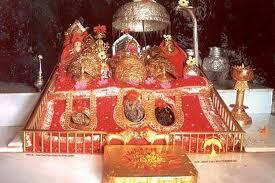 Temple of Nar Singh and Nav Durga are located here. Badrinath: Badrinath one of the 'Four Dhams' is one of the most celebrated pilgrimage spots of the country and is situated at an elevation of 3,133 meters, guarded on either side by the two mountain ranges known as Nar & Narayan with the towering Neelkanth Peak providing a splendid backdrop. This revered spot was once carpeted with wild berries. Thus the place got the name "Badri van", meaning "forest of berries". Overnight hotel. Drive to Haridwar en-route visit Srinagar, Deoprayag & Rishikesh. On arrival, transfer to Hotel. Night halt. Afternoon drive to Delhi and transfer in time for early security check-in at International Airport.